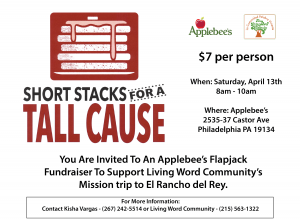 you are invited to an applebee’s flapjack fundraiser! mission trip to El Rancho del Rey. ©2018 The Living Word Community. All Rights Reserved.